There’s an invisible force in our interior, an energy that rocks us, accompanies us, invites us to dance, to move ourselves and, above all, to know parts of us that lay hidden… THE MENSTRUAL CYCLE. Lots of women will die without knowing they have a Treasure, a Marvel that confers to them powers and wisdom about themselves and the world they inhabit. Those live blindly, avoid knowing, forgetting to learn. … And they keep beating themselves up, against their selves, against the world, against their partners, their jobs, something is wrong in them. Why me? They wonder. Like a butterfly that wants to come out of its cocoon, the time has come to know our feminine nature, to live our cyclical life, a life connected with the most ancient forces of nature, our body and the world. I’m pure energy and vitality! Full of power, I can, I am! I feel complete, fertile, calm, empathic. I enjoy sharing what I am and what I have. I devote myself to life. To slowly go to my interior, towards my cave. I start seeing what’s occult for the eyes, what one cannot see. And I can get to know the darkness. I respect my low energy and rest. I dream, I connect with the deepest part of my self. Pulsing slowly and shining internally. I only exist for myself, only for myself, only for myself. Women need to recall, we need to live connected to our cyclical nature and share that with other women, with our daughters, with our partners, with everyone. Women are half the world population or even more and it’s about time our changes be respected, our cycles and gifts be recognized and valued. Lillith’s treasure is not only a story to recollect this lost internal wisdom, it’s an ANCESTRAL REVOLUTION of connection with nature and the essence that lives in our interior. A seed has emerged so that we get our knowledge and power back and above all, our capacity of intuition. 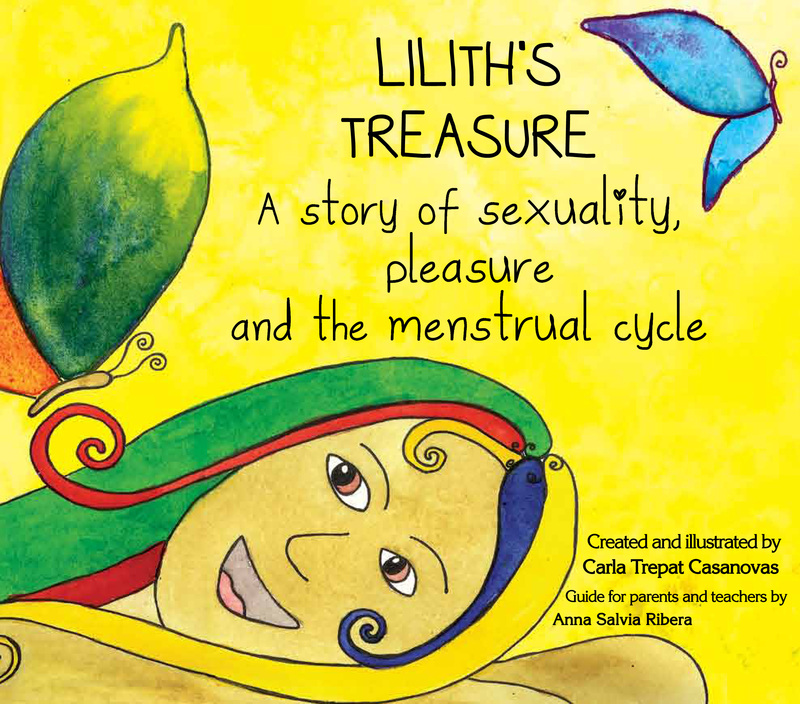 Carla Trepat Casanovas, Researcher of Feminine Wisdom and creator of the book “Lilith’s treasure, a tale about sexuality, pleasure and the menstrual cycle”. (Translated from www.eltesorodelilith.com by Gabriel Mansó ).